Christie’s Closes Soon. Another Westport Institution Is Gone. 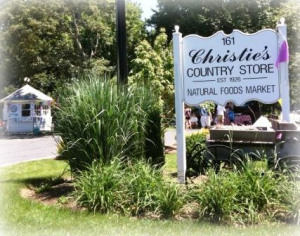 In 1926, Christie Masiello opened a fruit and vegetable stand on Cross Highway. For nearly 7 decades she and her nephew Don were staples of that northern Westport neighborhood: a place to buy food (and gas). And — just as important — to meet. The place went through some changes — it was briefly a dry cleaner — but when John and Renee Hooper bought it in 2009, Christie’s regained its rightful place as a neighborhood store. And community center. John added burritos, prepared foods and more to the menu. He rented space to Frosty Bear ice cream. There was a farmers’ market on Sunday mornings. It was the only place around for builders, construction workers, tradesmen and delivery people too. They packed the parking lot at lunchtime. Christie’s was also the go-to place during weather disasters. When hurricanes howled or blizzards blew, the store was the neighborhood port in a storm. John offered ice, water, food, cell charging — whatever anyone needed. If his power was out too, it was still the place to gather, swap stories, and get energized for the cleanup ahead. But all those will soon be memories. With sadness, John has announced that Christie’s is closing next month. Rent and taxes are high, relative to sales and income that can be generated in his out-of-the-way place. The lease was up in June. But John and Renee stayed on, to see if they could create a plan to make things work. Christie’s is a non-conforming use, in a residential neighborhood. Zoned as a retail food establishment, it can operate as a takeout deli, with limited tables and chairs to seat approximately 9 patrons indoors. The Hoopers wanted to offer brunch in the winter — in front of the fireplace — and on the porch in summer. They hoped for limited dinner too, in the form of Friday Family Fun Nights (Saturdays too). But before they could get approval from Planning & Zoning, they needed an okay from the Health Department. Health officials said the septic system could not handle the additional stress. And — according to state regulations — the surrounding soils made expansion of the current system unfeasible. John and Renee had to operate as they currently do. So Christie’s will close soon after their last catering event: a Staples PTA holiday lunch for teachers. That’s fitting. John has always been a huge supporter of Westport (and Fairfield) schools. He’s provided great food as cheaply as he can — sometimes at cost. 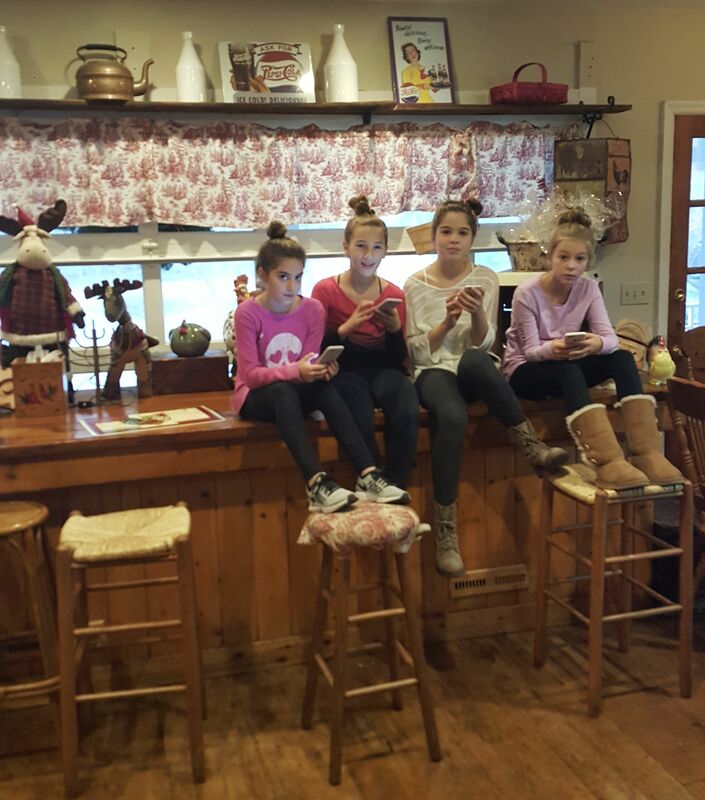 Four middle schoolers hung out the other day at Christie’s — near a menorah, moose and reindeer. “Closing Christie’s is sad for me. But Renee is comforted that I will be able to devote more time to her growing food company.” White Oak Farm & Table sells non-GMO and organic shelf-stable food to stores nationwide. Everyone who made Christie’s their home away from home is sad too. Really, everyone in Westport should be. A little bit of what made our town special will soon be gone. Thanks, John and Renee, for 9 great years. And Christie’s, for 92 of them. This entry was posted in Local business, Looking back, People, Restaurants and tagged Christie's Country Store, Cross Highway, John Hooper, Renee Hooper. Bookmark the permalink. NO!!!! This is devastating! We go there all the time to support this small business in our area. At least 1-2 times a week. This cannot close. We need to get someone else in there if John and Renee are leaving. Westporters need to rally and figure out how to keep this open. I didn’t even go that often as I lived closer to the Merritt Superette and the Country Store on Wilton Road but this one hurts. This STINKS. John is such a good guy and Christie’s a neighborhood institution. While I wish the Hoopers nothing but the best in their next chapter, this makes me incredibly sad!! Such a convenient and solid option for a quick, healthy meal for those working at Bedford and Staples schools late. This would hurt. Best to the family that has run it! back to Weston, we Always stopping for fresh corn at Christies. Westporters to the resucue!! Someone needs to help them get a permit to expand! Bridgeports’ Harborview Cafe – in a quiet residential neighborhood – has become a hub because of their delicious brunches with live music on the weekends. No one can survive without adequate seating indoors, and Chrisites has all the potential to be that school and North Avenue neighborhood hub. We don’t want to see them leave…. Allowing Christie’s to operate like the Harborview Cafe would be ideal… and we’d all flock to them even more! How can the septic issue be managed? Surely there is something that can be done to allow septic expansion. Would switching to a gravel lot help? How nice would it be to have more tables and even the occasional dinner there?? 800′ from the blue line: ouch. Oh nooooo! I hope the Hoopers can figure this out and stay with us. They are such good people! Many people might not remember the first REALLY big push to keep the Aitkenheads in s farmer’s at Wakeman Town Farm… but the Hoopers were behind the scenes and largely Funded a pancake breakfast that fed over 700 people!!! John never stopped flipping pancakes for 4 long hours!! And (because of the Hoopers, in part) Wakeman Town Farm made it and has flourished. Anything we can do to help the Hooper’s now?? i agree this is devastating, particularly to those of us that live nearby. Would love to figure out a way to make it viable! I didn’t go there very often because it was not close to where I lived—in fact, it was on the opposite end of town from my home for the past 20+ years. But I did stop by on occasion precisely because it has been one of Westport’s treasures. I wish the Hoopers lots of success in their new endeavors and I hope someone else can find a way to make the space work for them. Oh no! This is terrible news. 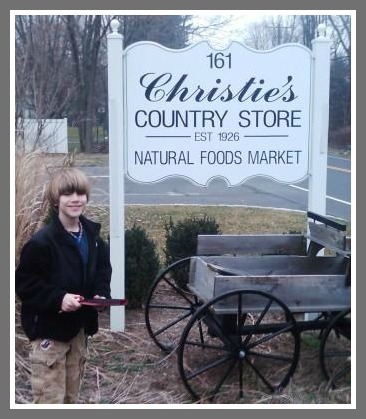 A place like Christie’s is what gives a town character and community! Not to mention an unpretentious lunch place. I often wondered why they didn’t take more advantage of that lovely dining room with the stone fireplace, or that great front porch. How sad that bureaucratic nonsense will drive out yet another local treasure. CT is not a business friendly state for years now. Such a shame Christies and other businesses can’t continue. Stop voting in the people that do nothing but raise taxes!! Good Lord, not another one! It seems no one can afford to do business in Westport any longer – rent and taxes are killing everything. This is one of the ways vibrant communities start sliding downhill. And that process can be hard to reverse once it gains momentum. It seems we keep losing the things that give Westport character and make her delightful. This is very sad. 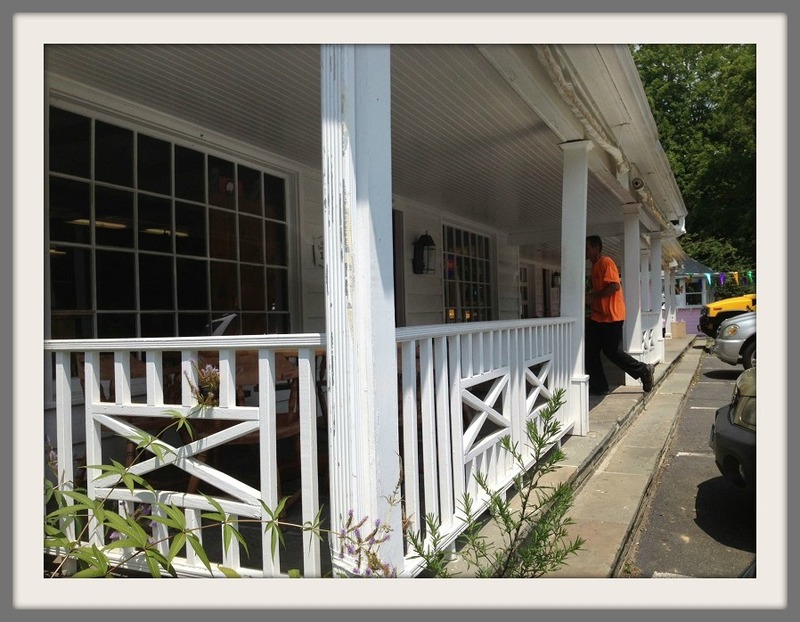 OK Westport realtors and real estate lawyers … help us out! Lived on Bayberry Lane and rode my bike there all the time as a kid going back to the 60;s…..so sad!!!!!! I grew up on Cross Hwy. Christie and family were friends with my dad and his family. I was just in Westport (unfortunately for a funeral) and found that my former home fell victim to the Westport teardown. I miss old Westport, but i’m so glad I moved away from new Westport. Our family went there all the time in the 60’s. Christie, her sister (can’t remember her name), Don, and Mr. Harmon’s Chevron gas! What a treasure. Dan, do you have any old pix of the Masiellos in your archives that you could share with the readers? Unfortunately no. But I think there may be one or two on the wall that John Hooper has! I have a few posted an old Westport News article that I had scanned a few years ago. I’m pretty sure I have some others if I ever get organized… I really like the photo showing the unpaved lot and the old gas pump. Things changed so much over time, things look totally different then. That old coca cola cooler on the porch now resides in my garage. Dan, thank you for your energy in writing about Christie’s so much over the years. It warms my heart to connect with my family history and childhood memories, and I love to read all of the comments and recollections! Thanks, Tony. The Masiello family is a huge and important part of Westport’s history! Devastating! I moved to town just three years ago and so many local businesses have closed in that time alone. Thank goodness the Black Duck was saved, at least. Well stated Jack! I hope for this outcome also. Thank you! I remember “stealing” my parents car before I was 16 so I could drive down to Christies. Can’t remember what I wanted to get…I suspect I just wanted to take a joy ride and that was the closest place to drive to. I actually skimmed the side of the car against a stone wall. Needless to say, I got caught. Renee and I thank you all for your kind comments. It has been a pleasure getting to know all our neighbors and, of course, serving the kids. 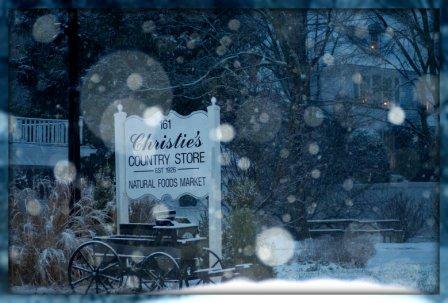 While the store is closing, the name Christie’s Country Store® will live on. Renee and I plan to develop a line of shelf stable food products in the coming months to complement our non-gmo and organic food line, White Oak Farm and Table ® . We hope to be in the market by the time of the Fancy Food Show in New York and, based upon some inquiries, may franchise store locations. In the meantime, keep a look out for us at your local specialty retailer as well as Whole Foods, Big Y, Central Market, Marshalls, TJ Max and Home Goods in the US and Canada. Thank you again for all of your support. Used to ride my bike from Terhune Dr in the early 60’s to get Bazooka bubble gum. This is very sad. When moving to our current house in Weston 20 years ago, we would go up to Christie’s frequently to pick up sandwiches. I’d been on and off since, though the menu had changed and the interior had been improved since, it still offered ‘good food fast’, which I really appreciate. The good news is, we still have places like Fortuna’s in Westport, Lunch Box in Weston and the Village Store in Easton.